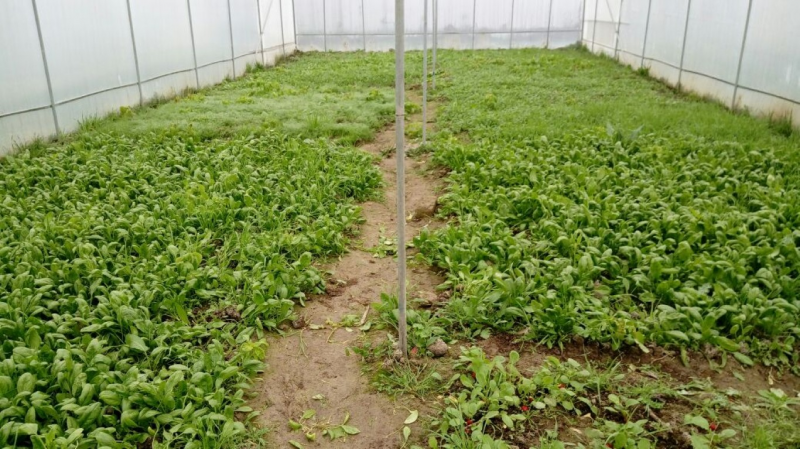 The greenhouses provided by the Affairs Deppartment of ANAS to the Institute of Zoology have already been installed in the Agsu Practice Support Point. The first trial was carried out and successful results were obtained. Vegetable plants - spinach, red radish, dill and coriander were planted in one of the greenhouses at first. It is planned to grow melon plants (tomatoes, cucumbers, beans, etc.) in these greenhouses at the future. Ecologically clean products grown in greenhouses are planned to be delivered to the related bodies of ANAS by the Free Trade Union of ANAS.